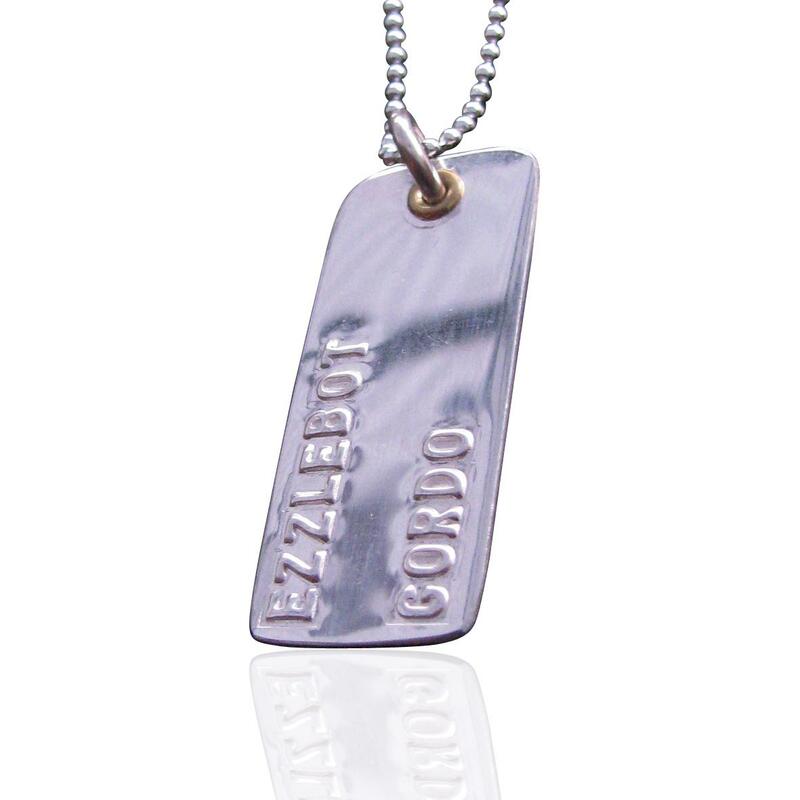 Silver Tag with raised lettering. Three lines of text can be embossed on these tags. maximum of 12 characters including spaces on each line. Description: Dog tags with a twist. Raised lettering sets these tags apart. They are made from sterling silver. They are unique to coolabah charms for now anyway! Dimensions: Each tag is 33mm long and 15mm wide. The tags are not very thick at approx .5mm thick. They are comfy to wear and cool! Maximum of 11-13 characters per line on the tag. so you can have the first line with 13 characters, the middle line with 11 characters and the third line can have 13 characters. Chains : This item comes with a silver tone ball chain - please choose this option from the drop down menu. If you would like a sterling silver ball chain please choose from the drop down menu above. At busy times like Christmas and Mothers Day you need to place your order before the cut off dates. These dates will be announced on our website at this times and is normally approx 15 days before the big days.